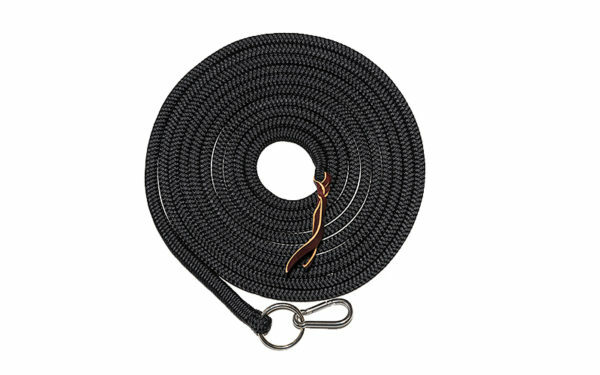 Clinton’s 23-foot long line is made of the same high-quality marine yachting rope as his lead rope and features a stainless steel snap. It’s a great training tool to use when moving beyond Fundamentals groundwork exercises and an essential training aid for starting colts, working with foals and teaching tricks. You’ll need the long line to complete the Intermediate and Advanced level groundwork exercises. Practicing groundwork exercises on the long line will challenge the respect and trust your horse has for you. Working with a horse on the long line prepares him for liberty work.